Effective from 1 December 2016, IASB normally has 14 board members, of whom one is appointed as Chair and one as Vice-Chair. IASB members are appointed for an initial term of five years. Terms are may be renewable once for a further term of three years, with the possibility of renewal up to a maximum of five years, in line with procedures developed by the Trustees for such renewals, however, the terms may not exceed 10 years in total length of service as a member of the Board. The current size of the Board is a result of the 2015 Constitution review, which reduced the number from 16 to 14 members. To ensure a broad international diversity, the constitution requires four members from the Asia/Oceania region; four from Europe; four from the Americas; one from Africa; and one appointed from any area, subject to maintaining overall geographical balance. The main qualification for membership is professional competence and practical experience. The group is required to represent the best available combination of technical expertise and diversity of international business and market experience. The table below summarises the current composition of the IASB. Biographies for each member are set out below the table and can be accessed by scrolling, or clicking on the person's name in the table. Hans Hoogervorst began his initial term on 1 July 2011, succeeding Sir David Tweedie on his retirement as chairman of the IASB at the end of June 2011. Mr Hoogervorst was previously the chairman of the Netherlands Authority for the Financial Markets (AFM), the Dutch securities and market regulator, chairman of the Technical Committee of the International Organization of Securities Commissions (IOSCO) and co-chair of the Financial Crisis Advisory Group (FCAG), an independent body of senior leaders formed to advise accounting standard-setters on their response to the global financial crisis. Mr Hoogervorst holds a Masters degree in modern history (University of Amsterdam, 1981) and a Master of Arts degree in international relations (Johns Hopkins University school of advanced international relations, majoring in international economics and Latin American studies). Mr Hoogervorst's initial term expired in June 2016, he was reappointed for a second term. Sue Lloyd was appointed to the IASB as of 1 January 2014; in October 2016 she was appointed Vice-Chair of the IASB as off 1 November 2016. Ms Lloyd was a Senior Director of Technical Activities at the IASB and responsible for leading the technical staff in the development of new IFRSs. Ms Lloyd is originally from New Zealand and a former member of the Australian Accounting Standards Board. Before joining the IASB's staff as Director of Capital Markets, with responsibility for the IASB’s work to reform the accounting for financial instruments, she held various senior positions within the banking sector in the United Kingdom and in Australasia. Her term expires 31 December 2018. Mr Anderson joined the Board from Janus Henderson Investors in the UK. He was a member of the UK Accounting Standards Board from 2007 to 2013 and a founding member of the Corporate Reporting Users’ Forum (CRUF). His first term expires 31 August 2022. Before joining the Board, Martin Edelmann was a senior adviser at German consultancy firm zeb/rolfes.schierenbeck.associates (Zeb). He previously served as a member of the German Accounting Standards Board from 2006 until 2011. He is a former Head of Group Reporting at Deutsche Bank AG, where he was responsible for internal and external reporting activities between 1997 and 2011. Mr Edelmann was a member of the Accounting Working Group of the German Banking Association for 14 years and served as Chairman from 2004-2011. His second term expires 30 June 2021. Françoise Flores served as Chief Executive Officer of the European Financial Reporting Advisory Group (EFRAG) and Chairman of EFRAG’s Technical Expert Group (TEG) until April 2016. Before joining the Board in 2017, she had returned to work as a partner at accountancy firm Mazars in Paris, France. Her term expires 31 December 2021. Amaro Gomes was appointed to a five-year term as a full-time member of the IASB as of 1 July 2009. Before joining the IASB, Mr Gomes was Head of Financial System Regulation Department of the Central Bank of Brazil. In that capacity, he played a leading role in the adoption of International Financial Reporting Standards in Brazil. (All listed companies and all banks are required to prepare and publish consolidated financial statements in full compliance with IFRSs starting in 2010.) At the Central Bank of Brazil, Mr Gomes was responsible for drafting regulatory proposals on such matters as Basel II implementation, money laundering, accounting and auditing, microfinance, and prudential requirements. From 2004 to 2009, he served on the Accounting Task Force of the Basel Committee on Banking Supervision. Before joining the Central Bank, Mr Gomes was an auditor with one of the international audit firms. He is co-author of a book Accounting for Financial Institutions. His term expires 30 June 2019. Gary Kabureck served as the Chief Accounting Officer for Xerox Corporation from 2001 (and from 2003 also as a Corporate Vice President). Prior to joining Xerox in 1985, Mr Kabureck spent ten years working with one of the international audit firms. He is also an active member of Financial Executives International (FEI) and has served on a range of other advisory boards, including to the Public Company Accounting Oversight Board (PCAOB) and the US Financial Accounting Standards Board (FASB). Mr Kabureck earned a Bachelor of Science degree in Accounting from the University of Bridgeport, holds a Masters of Business Administration, and is a Certified Public Accountant. His second term expires 30 June 2022. Dr Jianqiao Lu was appointed to a five-year term as a full-time member of the IASB as of 1 August 2017. Before joining the IASB, Dr Lu was Director of the Accounting Regulatory Department of the Chinese Ministry of Finance and in charge of Chinese accounting standard-setting. He represented the China Accounting Standards Committee on the IASB's Accounting Standards Advisory Forum (ASAF) and regularly contributed to the meetings of the IASB's Emerging Economies Group (EEG). Dr Lu is also known for his important contributions to the work of the Asian-Oceanian Standard-Setters Group (AOSSG). His term expires 31 July 2022. Takatsugu (Tak) Ochi joined as a member of the IASB from 1 July 2011. Mr Ochi was previously Assistant General Manager, Financial Resources Management Group of Sumitomo Corporation. He was also a member of the IFRS Interpretations Committee, Secretary-General of the Nippon Keidanren (Japan Business Federation) Taskforce for early adoption of IFRS and an adviser to the Accounting Standards Board of Japan (ASBJ). He studied Economics at Kobe University, Japan. Mr Ochi's second term expires 30 June 2019. Darrel Scott was formerly CFO of the FirstRand Banking Group, one of the largest financial institutions in South Africa. He had responsibility for both statutory and regulatory financial reporting under the Basel II Accords and served on various Governance, Risk, Operation and Strategic Committees of the Group. Mr Scott was also a member of the IASB’s International Financial Reporting Interpretations Committee (IFRIC), a position from which he resigned to become an IASB member, and was formerly a member of the IFRS Foundation’s Standards Advisory Council (SAC), now called the IFRS Advisory Council. Mr Scott joined the IASB as a board member in October 2010. His second term expires 30 June 2020. Tom Scott has been an academic in the field of accounting at various universities in Canada since the late 1970s. Most recently, he acted as a Director and Professor of Accounting at the School of Accounting and Finance, University of Waterloo, Canada. He also served as a member of the Canadian Accounting Standards Board from 2003 to 2011. Mr Scott joined the IASB as a board member in April 2017. His first term expires 31 March 2022. Chungwoo Suh served as an advisor to the Korea Accounting Standards Board (KASB) and was a Professor of Accounting at Kookmin University, Seoul before joining the Board. He served as Chairman of the KASB between 2008 and 2011, has a Ph.D in Accountancy from the University of Illinois, and an MBA from Seoul National University. Dr Suh has served as a member of various committees, including the IFRS Advisory Committee, Korea Exchange Listing Committee and Committee for Corporate Governance. His second term expires 30 June 2022. Professor Tarca joined the IASB from the University of Western Australia. She served as a member of the Australian Accounting Standards Board (AASB) from 2014 to 2017 and was Research Director for the AASB from February 2017. She was an academic fellow of the IFRS Foundation from 2011 to 2012. Her first term expires 30 June 2022. Mary Tokar has been the global leader for KPMG’s International Financial Reporting Group, leading the firm's dialogue with the global accounting regulatory and standard-setting communities. Having worked with engagement teams and clients around the world in their transition to and application of IFRS, she has gained extensive experience in the application of IFRSs in both developed and emerging economies. Previously, Ms Tokar worked at the US Securities and Exchange Commission (SEC) as the Senior Associate Chief Accountant, International, in the Chief Accountant’s Office. Ms Tokar was a member of the IFRS Interpretations Committee between 2001 and 2007. Her second term expires 30 June 2022. The IFRS Foundation Trustees are seeking to appoint three new Board members, one from the Americas, one from Africa, and one from the Asia-Oceania region. The Trustees of the IFRS Foundation have extended IASB Board member Martin Edelmann’s second term by one year. Mr Edelmann is currently serving his second term with the IASB, which originally was set to end in June 2020 and now will end on 30 June 2021. The IFRS Foundation Trustees are seeking to appoint two new Board members, one from the Americas and one from the Asia-Oceania region. The IFRS Foundation Trustees have announced the appointment of Professor Ann Tarca and Mr Nick Anderson to serve as members of the International Accounting Standards Board (IASB). Professor Tarca will join the IASB in July 2017, Mr Anderson in September 2017, both for an initial term 5-year term. The IFRS Foundation Trustees have announced the appointment of Dr Jianqiao Lu to serve as a member of the International Accounting Standards Board (IASB). Dr Lu will join the IASB in August 2017 for an initial term 5-year term. The IFRS Foundation trustees have announced the reappointment of Martin Edelmann, Gary Kabureck, Chungwoo Suh, and Mary Tokar to serve a second term as IASB board members beginning on July 1, 2017. The IFRS Foundation Trustees have announced the appointment of Tom Scott to serve as a member of the International Accounting Standards Board (IASB). Mr Scott will join the IASB in April 2017 for an initial term 5-year term. The IFRS Foundation Trustees have announced the appointment of Françoise Flores to serve as a member of the International Accounting Standards Board (IASB). Ms Flores will join the IASB in January 2017 for an initial term ending 31 December 2021. The IFRS Foundation Trustees are seeking to appoint up to seven Board Members in July 2017. After their meeting in New Delhi, the Trustees of the IFRS Foundation, have announced the appointment of Sue Lloyd as vice-chair of the IASB. Ms Lloyd succeeds Ian Mackintosh who served as vice-chair from 2011 to 2016. Her term is effective 1 November 2016 and expires on 31 December 2018 when she will be eligible for a second term. The IFRS Foundation trustees are currently seeking nominations for two vacancies in the IASB’s Board. The Board is comprised of 14 members containing a mix of experience in standard-setting, financial reporting, and education. The Trustees of the IFRS Foundation, the oversight body of the International Accounting Standards Board (IASB), have reappointed IASB Board member Takatsugu Ochi to serve a second three-year term starting on 1 July 2016. In addition, the Trustees announced that current IASB Board member Pat Finnegan will be retiring from his position on 30 June 2016. 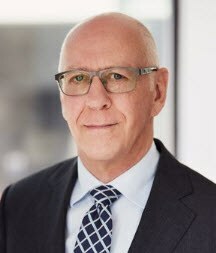 The Trustees of the IFRS Foundation, the oversight body of the International Accounting Standards Board (IASB), have reappointed IASB Chairman Hans Hoogervorst to serve a second five-year term starting on 1 July 2016. In addition, the Trustees announced that current IASB Vice-Chairman Ian Mackintosh will be retiring from his position when his term expires on 30 June 2016. 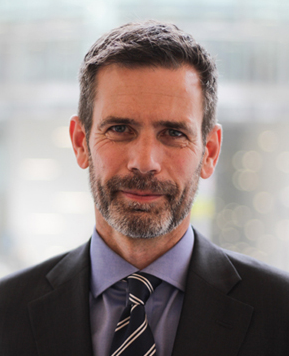 The Trustees of the IFRS Foundation have announced the reappointment of Darrel Scott for a second term as IASB member beginning 1 July 2015. The Trustees of the IFRS Foundation have announced the appointment of Sue Lloyd as IASB member beginning 1 January 2014. She replaces Prabhakar Kalavacherla (PK) who will retire from the IASB on 31 December 2013 after having served a full, five-year term. The IFRS Foundation Trustees have announced the appointment of Gary Kabureck to serve as a member of the International Accounting Standards Board (IASB). Mr Kabureck will join the IASB in April 2013 for an initial term ending 30 June 2017, which will be renewable for a further three years. With the appointment of Mr Kabureck the IASB reaches for the first time its full size of 16 members. The Trustees of the IFRS Foundation announced the appointment of Mary Tokar as a member of the IASB for an initial term ending 30 June 2017. The term is renewable for a further three years. Ms Tokar will join the IASB in January 2013. The Trustees of the IFRS Foundation announced the appointment of Martin Edelmann as a member of the IASB for an initial five-year term from 1 July 2012. The term is renewable for a further three years. The Trustees of the IFRS Foundation has announced the reappointment of three current IASB members. The IASB has announced that effective 31 December 2011 Elke König is stepping down from the IASB. Hans Hoogervorst has taken over the Chairmanship of the IASB from Sir David Tweedie. In an extensive interview with Robert Bruce he talks about how wants to shape the IASB of the future.